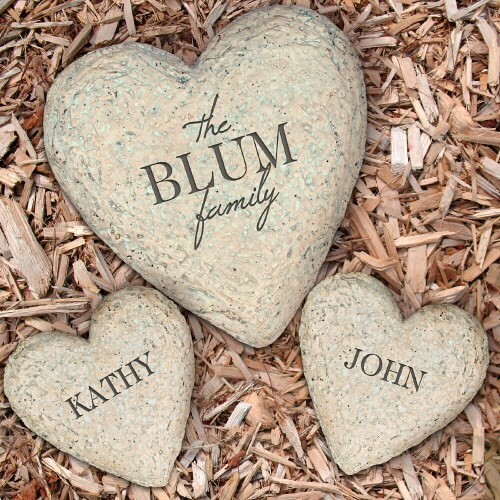 Personalized Family Heart Garden Stone. Heart Garden Stones are a great way to express your love for family. The garden decoration can bring beauty to any home garden. With a Garden Stone you can really bring out your garden. Make your garden special with a keepsake Garden Stone.